What is the difference between Composite and UPVC Doors? What is the difference between Composite and UPVC Doors? If you weren’t quite sure about the difference, here is our guide to Composite and UPVC Doors for your home. If we exclude traditional timber, the 2 main rivals for the honour of being the front door to your home will be either a composite or a UPVC door. Both are double glazed door designs and have a range of features, some shared, some exclusive. To help you decide which is best for you, we have taken a look at the key features of each in turn. We have also included a comparison of average fully fitted front doors prices at the end of the article. Both of these external residential property doors use a combination of materials, but the composite door has a different combination to UPVC. The outer surface of a composite front door is made from a GRP skin of around 3mm. GRP is Glass Reinforced Polymer. GRP is exceptionally tough and hard wearing, often used for boat hulls (and surf boards!). The insides can be formed out of engineered timber or a solid insulating foam, dependent on manufacturer. This add to both the overall strength and insulation properties. The whole door is banded around the edges by either UPVC or Aluminium inserts. Typically, the door will be around 44mm thick. Regular doors are around 28mm thick. A big difference is also in the way coloured doors are made – for a composite door, the actual GRP skin is coloured all the way through. For a UPVC front door, the colour is applied to the surface either using a coloured “foil” or can also be painted on. This means that if you scratch a composite door deeply, you won’t see a lighter colour underneath – unlike you would see if you scratch a UPVC door. For timber-grain effect finishes, the grain is impressed into the GRP itself on a composite door. Whereas for UPVC doors, the timber-grain is applied to the surface as a foil and more easily damaged. The construction of a UPVC front door is less complex. The door is constructed using an outer frame surrounding 1 or more center panel. The internal core of the door is usually an insulating foam, which should be reinforced (check before buying). The central panels are fitted into the surrounding frame, unlike a composite door which is effectively 1 piece. This can allow for the center panels of a UPVC to be removed and replaced if damaged. However, it also makes them more vulnerable to forced attack. If the panel gets “kicked-in” an intruder could possibly gain access. You can’t do that with a composite door. Overall, our opinion is that the construction of a composite front door is more robust than that of a UPVC front door. Visual appeal is an important aspect, as your front door can give visitors, or passers-by, something to use to form an opinion about the occupants of the house. An ugly front door can really put people off, especially if you are thinking about selling your home in the future. Both designs have a similar range of colours available to choose from and both offer timber-grain effect finishing. If you prefer to go for a smooth look, the gloss finish of a composite front door is superb. However, in our opinion, the timber grain finish for a composite front door is far superior and realistic than that of a uPVC front door. Both of these front door designs offer high levels of security. Each design will feature multi-point locking systems combined with 5 lever mortice locks & dead-bolts. Internal security chains can be fitted as an optional extra if you want one. Each unit will be fitted into a main door frame. Hardwood frames are often seen with composite doors, although you could opt for steel reinforced UPVC frames as are mostly are used with UPVC units. Both products can be found with “secured by design” accreditation from ACPO, The Association of Chief Police Officers. In terms of strength, or resistance to forced entry, there is very little to differentiate the products. The one point, which we briefly mentioned before, is that certain styles of UPVC door may have center panels that could be forcibly removed – albeit with a considerable degree of force and whilst making a lot of noise. 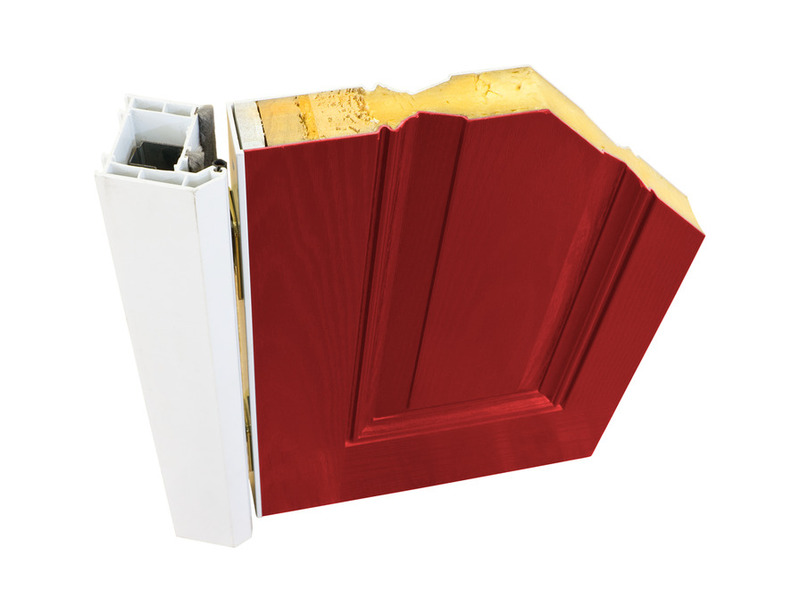 So, in our opinion, composite front doors are slightly stronger & therefore more secure. Energy efficiency is a high priority for both individuals and Government. Building regulations stipulate the standards that should be achieved for windows & doors in the UK. Each product will carry an energy efficiency rating label, most often from the BFRC (https://www.bfrc.org ). The label will typically give the door a raring from A+ to G. G being the lowest rating. I this case, both doors are more or less equally energy efficient. How much do Composite and UPVC Doors cost? This is where the UPVC front door scores better. Composite doors prices are always going to be higher due to both the material used and the more complex manufacturing process. Having said that, composite doors can easily last over 30 years, with UPVC probably being perfectly serviceable for at least 15 -20 years. Take the longer term view, and the price can be looked at as more evenly balanced. The extras you add will also impact price. Wood-grain & colours will be charged as extras. Door furniture also varies in quality & cost. If you have the budget to cover the premium cost, in our opinion, composite front doors are the ones to choose. The appearance is superb, they last a very long time and are super strong. 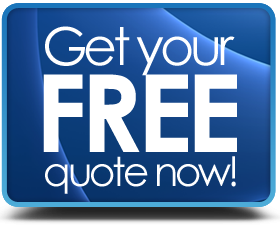 However, for the lower cost, uPVC front doors still deliver a very good product that will give many years of excellent use.